Celeste’s winning essay for the Brewster competition, “Pushkin’s ‘Rebirth,’ Shostakovich’s Fifth Symphony, and the Art of Coded Protest,” examines the composer’s use of self-quotation as clandestine dissent during Stalin’s Great Purges of the 1930s. The project forms part of a broader musicological study of Soviet composer Nina Makarova (1908-76), whose orchestral music Celeste will explore in a Schreyer Honors thesis advised by Charles Youmans. 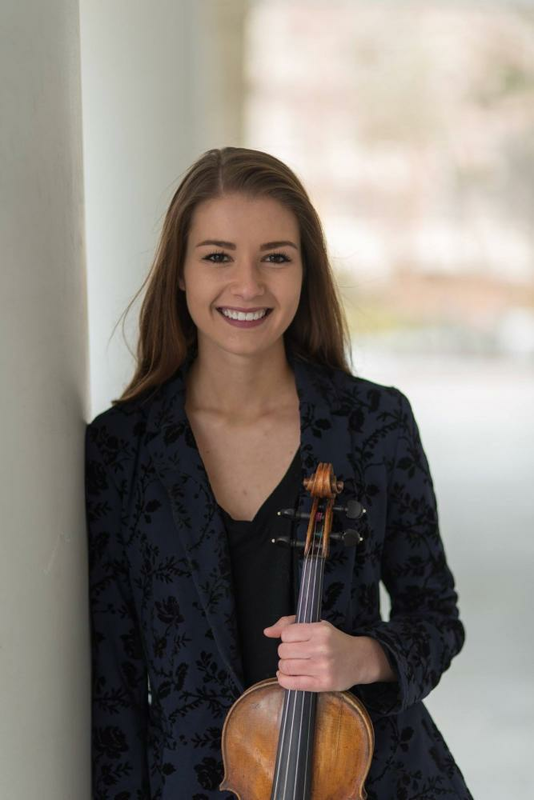 A violin student of James Lyon, Celeste is also pursuing a bachelor’s degree in Russian. From Clarks Summit, PA, she is the daughter of Debbie and Bryant Belknap. She has been awarded the 2018 School of Music Director's Award, and is also the recipient of the Esber Memorial Award in Music and a School of Music general scholarship. She received an Erickson Discovery grant to conduct research for her thesis in Moscow, Russia. Celeste is a member of the Philharmonic Orchestra and Chamber Orchestra, as well as the Virago String Quartet. In 2018, she danced in the Penn State Dance Marathon, and this year serves on the executive board for her THON organization.